Richard Harris, a lifelong Delawarean, has been in the real estate business and with the same company for over 30 years. He is a Graduate of the Realtors Institute and a life member in the New Castle County Million Dollar Club. Richard has received numerous awards from BHHS Fox and Roach, including membership in the prestigious Presidents Circle. 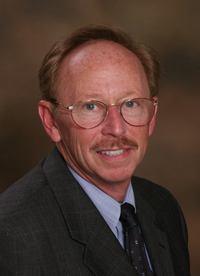 Richard has managed new construction projects and was a professional fee appraiser in the early 1990's. He has been a real estate trainer and has mentored many agents toward successful careers. Richard has not only sold hundreds and hundreds of residential properties over his long career but also sold businesses and commercial properties. In addition, he has served as a property manager for several of his clients. Recently, he was selected as one of Delaware's Five Star Real Estate Agents, an honor given to him by his customer's, clients and peers, awarded to only 7% of the real estate community. I’ve work with Richard Harris over the past 25 years. My husband was a builder, and so we bought and sold quite a few houses. I’ll always go back to Richard for my housing needs as he is prompt with returning phone calls, personable and always willing to do whatever it takes to list my house or make a sale. We have always had great luck in making a quick sale due to his suggestions and expertise in the market. He is willing to do the legwork to find houses which will meet our needs and is always willing to ask the listing agent questions we have. A house is an important purchase and a realtor with expertise means a quicker sale and a better deal! Thanks so much Richard for all you’ve done for Jim and I.
I have been working with Richard Harris for the last 20 years. And I think we can call each other a friend. I would rate his service as outstanding. I have always listened to his professional advice and followed his lead. With his help, I bought very nice investment properties and my primary residences. I would recommend his service to everyone. Richard Harris is the most knowledgeable, dependable and dedicated real estate agent I have ever met. Richard does his due diligence to not only provide an answer to every question, but use his extensive professional network to always obtain the most accurate answer to the question, Richard Always over delivers and without the need to under-commit. Richard is truly the best agent I have ever had the pleasure of dealing with. Well, I can start by saying; he explained every single step to me and my fiancé. This made us understand very well being a first time buyer. We appreciated the special attention we got when he called to give us updates on our process. Also, the one thing that I really like about Richard is that he sure that the house we picked was in good condition. I would recommend Richard any time he is not like these other agents that will sell you just anything to make a profit, He will look for what the customer is looking for. The house that he assisted me in buying was my first. Over all he made the experience very painless. He did not have me wait to put my bid in but there was no feeling of obligation to move forward on the property that I looked at. He promptly got the paperwork where it had to be and in pointing me in the right direction. Because of my ignorance to the whole process and his diligence, I was able to successfully settle with little bumps along the way. I have recommended him to a friend and if the opportunity arises I will send more his way. My company serves as court appointed guardian for impaired adults, many of whom are at the point in their lives where they have to move from home to some sort of facility based care. Richard has been helping me with such properties since 1996, through up markets and down. A number of years ago, I counted how many properties Richard helped me with and it then stood at 53. I’ve no idea how many he has helped me with since. He has also helped my wife and me sell our first home and buy our second. He must have shown us the right one; we’ve been there twenty one years now. Through it all, I have appreciated Richard’s professionalism: his knowledge of local markets, the ins and outs of transactions and the how-to’s. And perhaps as important, I have appreciated his temperament and personality. Buying and selling homes can create emotionally charged situations. Richard’s level headedness is contagious. And that’s a good thing! ~ James Reynolds, Senior Partner Inc.
Richard Harris was always prompt in returning our calls. He is extremely helpful in getting workers to upgrade the home we were trying to sell. I would recommend him highly to anyone seeking an agent. When selecting a realtor, you want someone who knows the business, someone who is honest and someone who communicates well and gets back to you promptly. Richard Harris is all of these. With Richard Harris I had an extremely good and satisfactory experience. He does go above and beyond. Thank You, Richard. I know you went "over and above" to close this deal. (especially having to take all those trips to the house!!) You were wonderful all through this long process and I appreciate all you did. Richard's professionalism saved the day . I am very happy to be in the same company as Richard . His professional integrity rises well above those whom we have day to day interactions in this industry. He should be considered a very valuable asset to this company.